Dr. Weener received his Bachelor of Science degree from Tufts University and his Doctorate of Dental Surgery from Georgetown University. He taught at Harvard School of Dental Medicine for fourteen years, nine of which were as Clinical Instructor of Prosthetic Dentistry. Dr. Weener also practiced in the Harvard University Faculty Group Practice for twelve years. 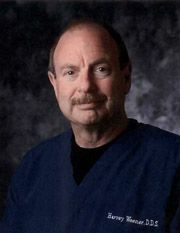 He is a published author and is on the Manuscript Review Committee of the American Dental Association.In 1996 Dr. Weener assumed the practice of Dr. Arthur Comolli, a highly respected dentist who served the Nashua area for thirty-eight years. Dr. Weener provides dental care for many families who have been in our practice for generations and welcomes new patients of all ages. 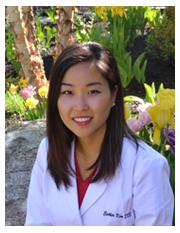 Dr. Kim grew up in Columbia, Maryland and completed her undergraduate studies at the University of Maryland College Park majoring in Neurobiology. She received her Degree in Dental Surgery at the University of Maryland School of Dentistry. Following dental school she completed a General Practice Residency at Montefiore Hospital in Bronx, New York. Shortly after, Dr. Kim moved to Manchester, NH with her husband. In her free time she loves traveling. She hopes to see all seven continents one day.